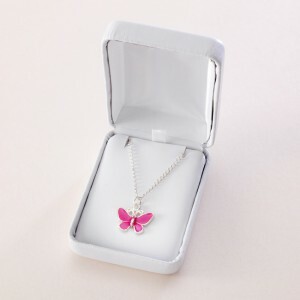 Presented in a deluxe white, padded and hinged gift box. 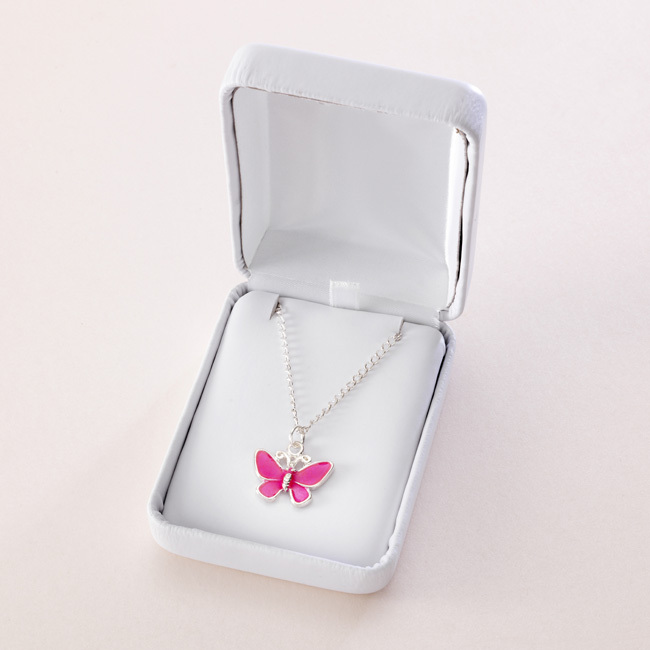 Any one of the following colour butterflies is included in the price: Pale pink, hot pink, turquoise, purple or lime. « Sterling Silver Beaded Bracelet with Engraved Heart and Birthstone.